If you bought new windows and doors recently or even have them a while. Than keep reading, below you will find some helpful hints and some simple repair tricks that will keep your windows and doors in top shape for many years to come. Does PVC door catch or rub of the frame when you open and close it. We'll don't panic in most cases all it need is a small adjustment. First have a look at your door hinge in most case you will see a place to put a hex key into. Sometimes this may be covered with a PVC cap if so just pop of the cap. Now put in your hex key and turn. When you turn the nut one way the door sash will move away from the lock side and when you turn it the other way it will get closer to the lock side. Plus most hinges now also have an adjustment on the bottom of the hinge. If you turn this clockwise it will lift the door sash. And finely if you look at the top you will see another one if you turn this it will adjust the door sash So that it closes tighter against the seal. Over time the rubber seal around the doors can shrink and flatten. Which will than leave in draughts. 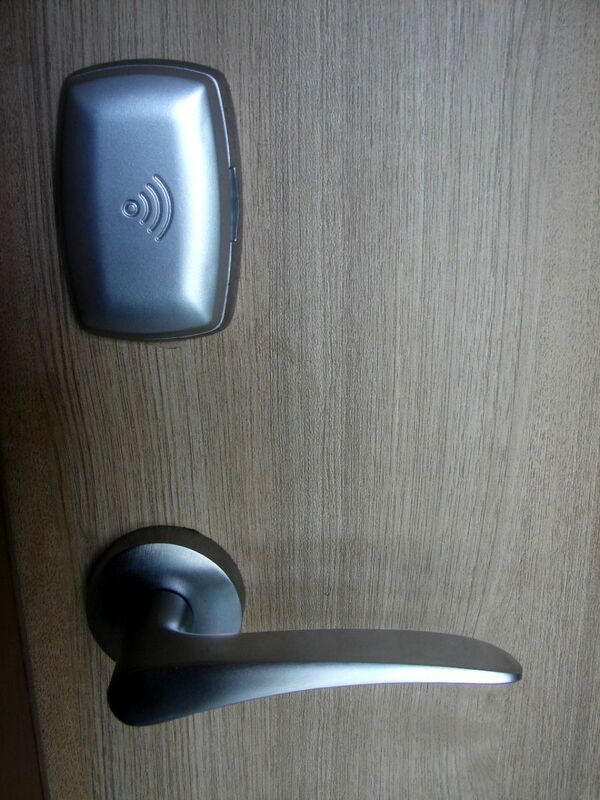 To stop this happening you will need to adjust the lock and hinge. First open your door and on the lock you will see 4 roller cams all you need do is turn these and your door will now close tighter against the seal. Than to loosen just turn them the other way. Now on the hinge side look at the top of hinge you will see a PVC cover cap remove this. Once removed you will sell a nut that takes a hex key. Now all you need do is turn this nut one way and the door will move closer to the seal than turn it the other way and it will loosen against the seal. If you have a draft coming in on the lock side. All you need do is open the window and you will see the cams that lock onto the frame. Just turn these one way and you will tighten the sash against the seal. When cleaning your PVC windows & doors it is best just to use warm water and a small bit of washing up liquid. Because a lot of the cleaning fluids you buy can harm the PVC over time. Plus if you have gold or chrome handles be very carefully what you clean them with. They can discolour very easy with the wrong cleaning fluid. But you will find that a bit of warm water and a small bit of washing up liquid will do the job on them. As you windows are designed to be very low maintenance and that includes the cleaning of them. So don't go away buy loads of fancy different cleaning fluids as you may just damage your windows and doors. But if you do have a stubborn stain that just won't shift than you may need a cleaning fluid to shift it. But you should test it out on a part of the window that won't be seen. This is a simple and easy thing to do. But if it's not done every now and again it can lead to a lot of water leaking into your hallway. To clean the drainage just open your door. Look down at the bottom there should be two holes or slots in the section. Clean these out plus any other dirt which has built up on the bottom of the door. Once this is done now look at the bottom of the door on the out side there should be two more hole or slots. These can be covered with PVC caps. Just unclip the cap and clean out the holes. To test your drainage just pure some water into the hole on the inside and you should see it come out the hole on the outside of your door. Most PVC window handles will wear down and break depending on how much use they get. You will find that the kitchen and bathroom window handles are the first to go. But it is only a two minute job to change them now plus they are cheap to buy and you have a good choice of colours. The only thing you need watch out for when changing Espage PVC window handles. Is that make sure you put the new handle on in the same position as you took the old one off in. Otherwise Espage lock will not work right. 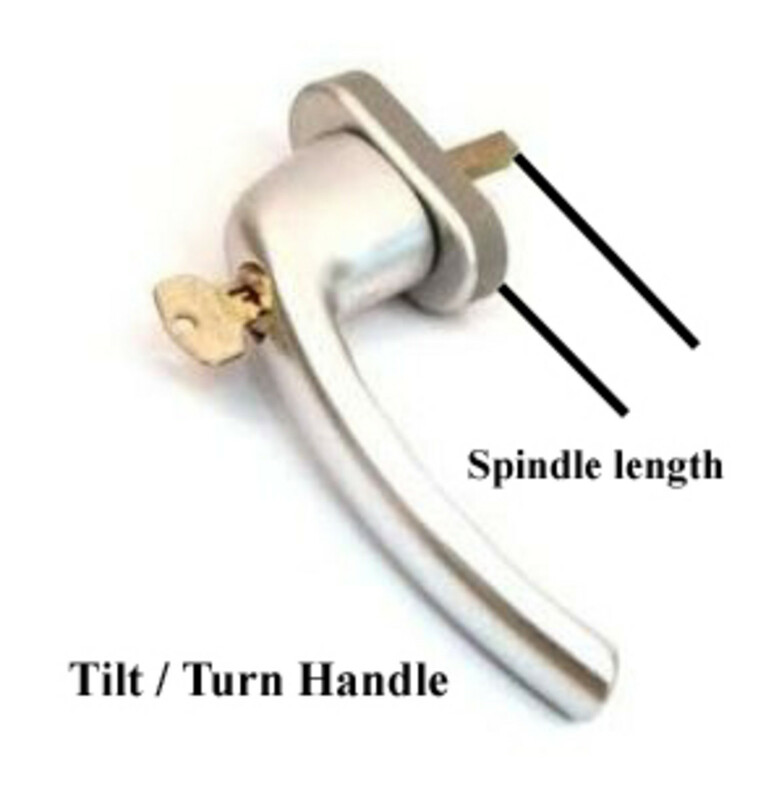 The same applies for PVC tilt / turn window handles. Before you buy your new handles you should take of the old handle and check the spindle length as these come in all different sizes. 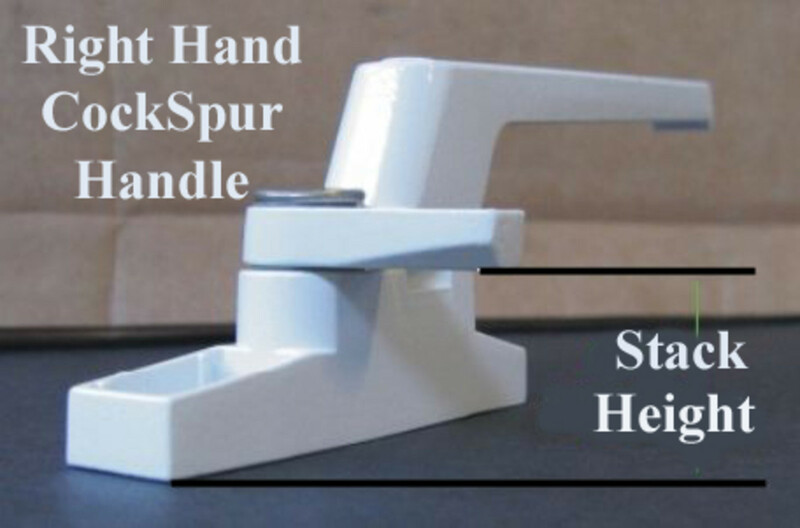 (The spindle is the square metal bar which goes into the window) you can buy a handle with a longer spindle than cut the spindle with a hacksaw. But if you get a handle and the spindle is to short than the handle is no good to you. 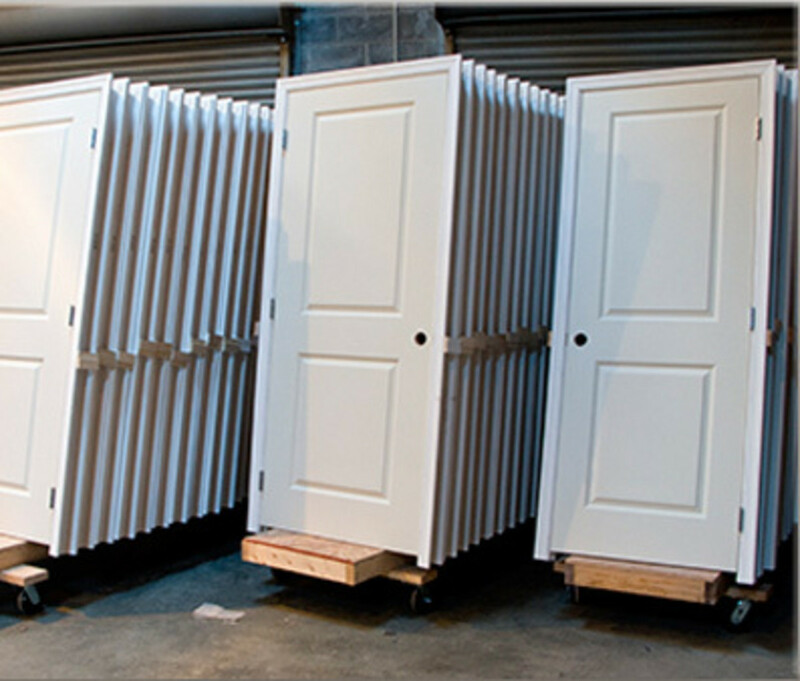 Pvc Door handles can loosen and break depending on how much use they get. But these are very easily changed. It is only a matter of unscrewing the two or three screws on the inside. The only thing to watch out for here is when you are buying the new handle make sure the screw holes and the spindle hole are in the same place other wise you may have to drill new holes for the screws to go through the door. Over time you may need to change the door cylinder, due to lost keys or broken keys. This is now a very easy job to do and will only take a few minutes. First open the door and unscrew the screw which holds in the door cylinder. Than put the key in and turn you key ( turn key to the 5 position on a clock) Than your cylinder should just slide out. Once done just slide in the new cylinder in. When buying your new door cylinder you will need two measurement. First one is from the outside of cylinder to the center and the second one is from the inside of cylinder to the center. If your pvc window is not closing properly. 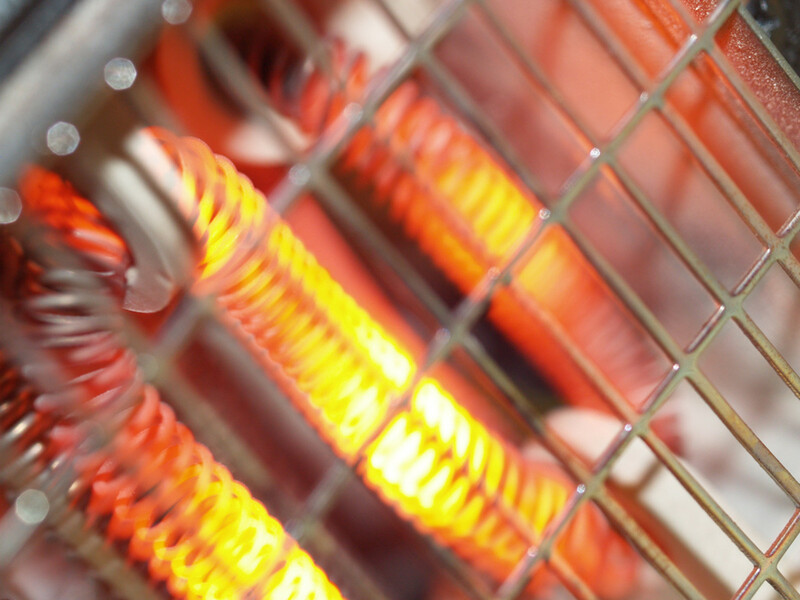 Find out what the problem could be and learn how to fix it. If the bar between the glass is metal it also means it can't be A-rated as this should be a non metal spacer bar. It sound like you don't have A-rated windows. Plus you more than likely paid extra for the trickle vents and it seems these are the things that are now causing you all the trouble. The stamp on the pvc will be on the section part that is hidden from view. If you open your window and check around there you should find it. The stamp will tell you section name plus year it was made. But this info is not much good to you now, as you seem to of already got your answer. They do have the trickle vents in them so I guess that answers that question. The window in my living room, I have fillled the vent with expanding foam to try to improve the noise. The only stamp I can see on the window, is on the metal plate between the glass, castlemere ???? What you need is someone who knows about windows to have a look for you. The First thing he will need to look for is what type of pvc profile was used to make your windows. Than he will need to know what type of glass is fitted and spacer bar. 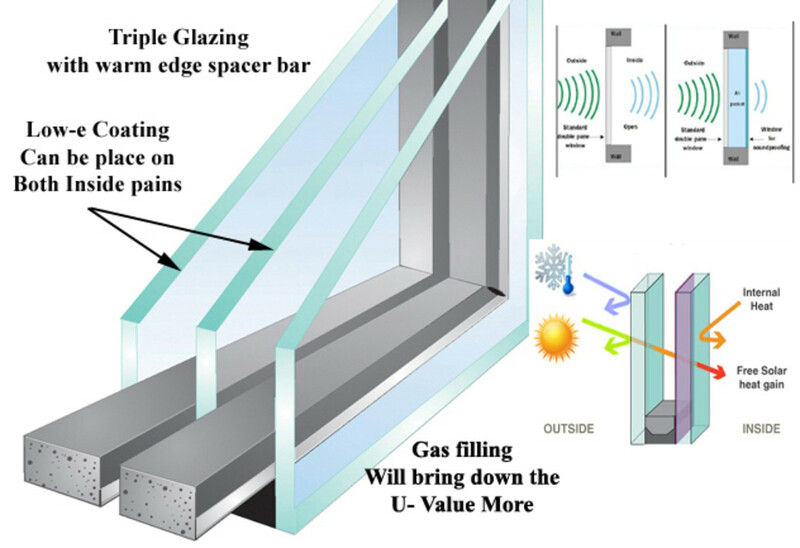 Once he has this information you can check on the bf glazing website if this combination will make up an A-rated window. Someone who has made windows for a few years should be able to get this info from looking at the stamps on the pvc section and the glass. But if it's a case that you are getting more noise and draughts in these windows. You should have someone check out the hinges and espage locks. It sounds like they are not closing against the seals properly. Also if your new windows have air vents built in they can let in noise and draughts even when closed. Plus if your new windows do have air vents that means they are not A-rated windows, Because any windows with a vent built in will only get around an F-rating because of air draughts. That's the problem I have got, I got my windows done as a foreigner by a friend of a friend & from the noise & draughts I'm getting coming threw, I think I may have paid for a rated but didn't have them fitted, I don't have any receipts or any proof that the guy actually fitted them, hence I cannot trace whether I got what I paid for. You will have to go back to the company and ask for the cert. This is the only way you can trace back and see if you have A-rated windows. There is no test you can do on your window to see if it is A-rated. That's why you need the official cert. The way windows get the A-rated cert is a window company sends in their profile and glass to an independent testing company. This testing company will than test the window with different types of glass and reinforcement fitted. 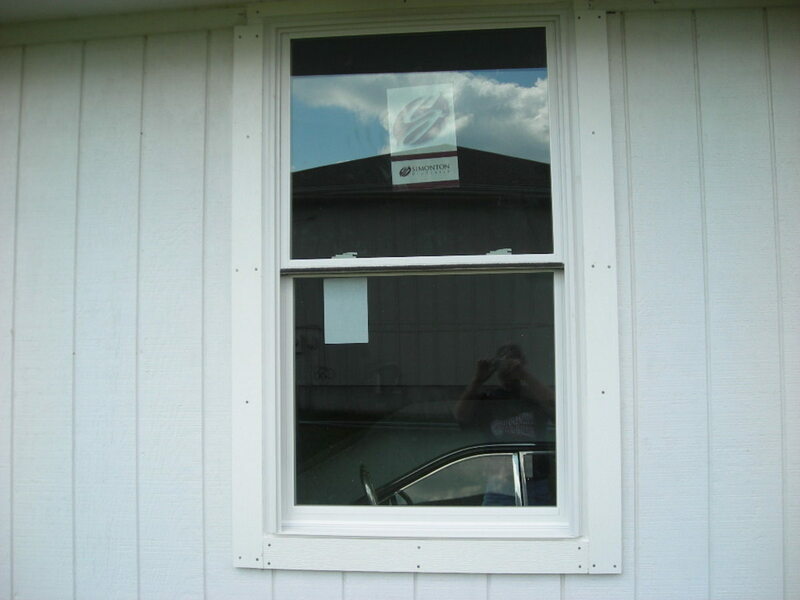 The window company will than know what they have to put into the window to make it an A-rated or B-rated window. Plus all this information is available to you once you have your cert. Plus once you have your cert and know what type of glass and profile you should have, you can now get someone to check your window and make sure you got what you paid for. The trouble with companies that have A-rated windows they are also able to make c & d rated windows. They will look the same but will not do the same job. I didn't get any cert with the windows? Is there anyway I can check if my windows are A rated??? Had them fitted a while ago but they don't seem to be as quiet as my old windows. I asked & paid for A rated but I'm unsure if they are or not. I have sliding pvc windows (with the catch that lets the window open downwards into the room)- when we moved in, the removal men actually removed one piece to enable us to get furniture through the window - can I do this myself? On the door frame look at the keeps. 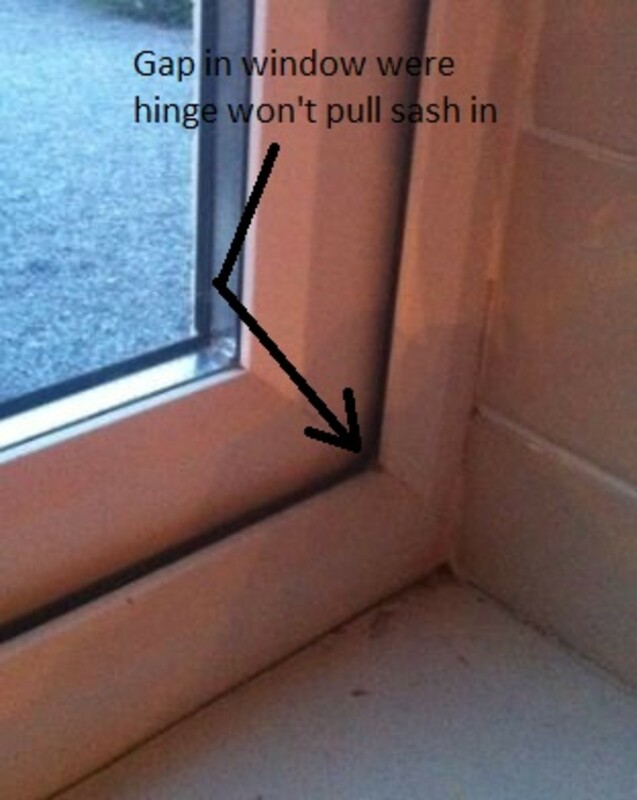 Their should be some adjustment on them which will allow you to tighten door sash against seal. But if you have put tape on and still getting a draught. It may not be the lock or keeps that need adjusting. But you might need a foam cylinder cover fitted. The cylinder is the part of lock that the key goes into. The cylinder goes right through the door and you can get a draught in around it unless the foam cover is fitted. On the inside of your door you will see screws holding on your handles if you take of the handle on the inside you will be able to see if a foam cover is there or not. If no cover is fitted you can just put a silicone seal around cylinder once done, just fit your handle back on. 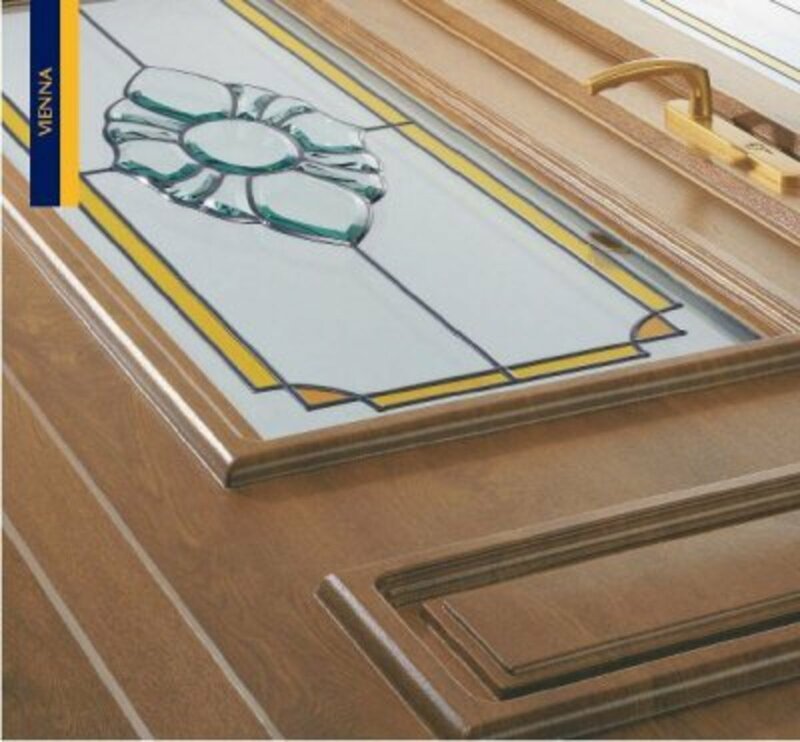 Hi Martin, I currently have a 44mm rock door fitted as my front door. I am getting a draught coming in from next to the lock/handle. I have placed insulation around the area but I'm still getting a draught. I have looked for the roller cams you talk about, but it doesn't have any, how can I tighten the door to the seal to stop the draught?